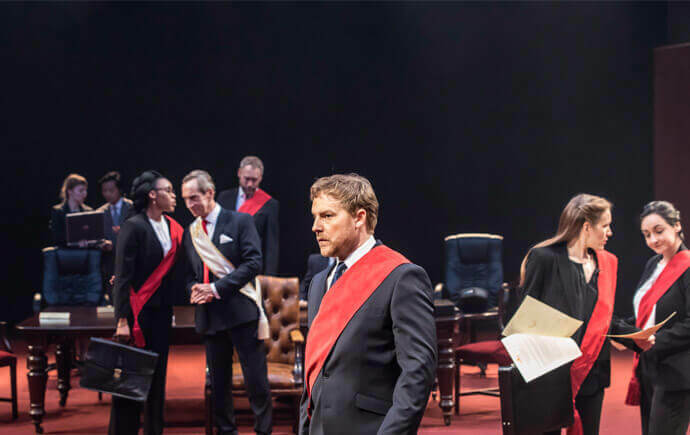 In light of the current political climate, Sheffield Theatre’s production of Julius Caesar couldn’t have been more timely, as Shakespeare’s tale of political intrigue, backstabbing, betrayal and murder arrives on the Crucible stage. The story is told with a harsh ruthlessness, as Brutus conspires with his fellow politicians to murder their leader who they feel is abusing his power, leading Mark Anthony to manipulate the countrymen into a revolution against their new leaders. Heading a strong cast is Samuel West, who provides a convincing performance as Brutus, and Elliot Cowan, who impresses with a passionate performance as Mark Anthony. But it is Sheffield Theatre’s new artistic director, Robert Hastie, who impresses the most, transforming a theatrical staple into a fresh, exciting and immersive production which assaults the senses and doesn’t shy away from its brutality. With an intelligent set which transforms the theatre into a senate room, placing the audience at the heart of the action, actors spill out into the stalls, run up and down the stairs of the auditorium and bring the audience right into the centre of the action. Members of The Sheffield People’s Theatre swell the cast and the lighting, sound design and special effects only serve to enhance the production values. Bringing the staging up to date, Julius Caesar is presented as a contemporary and gripping political thriller, all sharp suits and sashes with barely a toga in sight; and a staging which doesn’t shy away from the violence of insurgency. Whilst the stage is relatively stripped back during the first act, it is transformed into a war zone littered with the effects of revolution in the second, and whilst Shakespeare’s text is not always the most accessible, the narrative does come through well in the action and presentation. Julius Caesar is playing at the Crucible Theatre until the 10th June 2017. 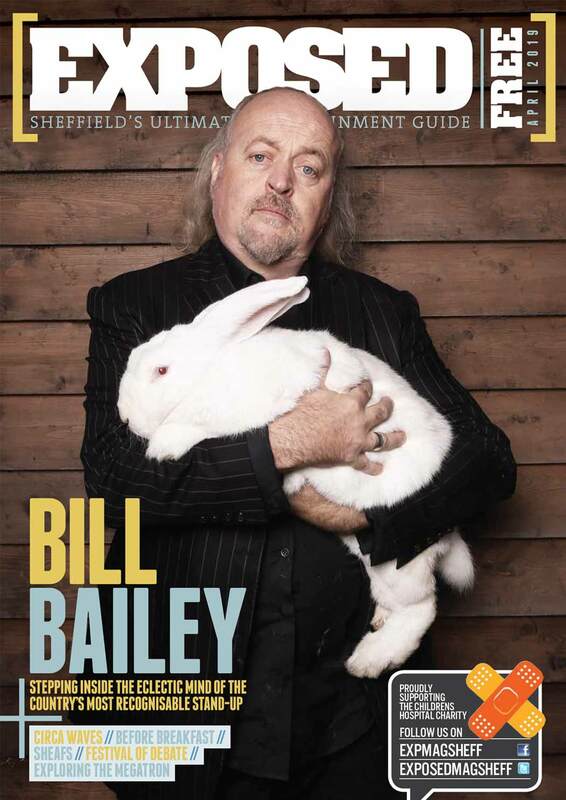 For details and tickets, visit www.sheffieldtheatres.co.uk or call the box office on 0114 249 6000.